Dr. Allen is Associate Chief of Hematology, Division of Medical Oncology and Hematology, at North Shore University Hospital/LIJ Medical Center. His clinical practice is dedicated to the treatment of hematologic malignancies, including leukemia, lymphoma, multiple myeloma, myelodysplastic syndrome, benign hematologic disorders and coagulation. Dr. Allen is board certified in internal medicine, hematology and medical oncology. He received his medical degree from the Johns Hopkins School of Medicine, completed his residency in Internal Medicine and served as a Hematology/Medical Oncology Fellow at New York Hospital. Dr. Allen is a Councillor on the American Society of Hematology’s Executive Committee and an active member of numerous other committees and associations. He has authored or co-authored more than 100 original research papers and reviews and is Professor of Medicine at the Zucker School of Medicine. 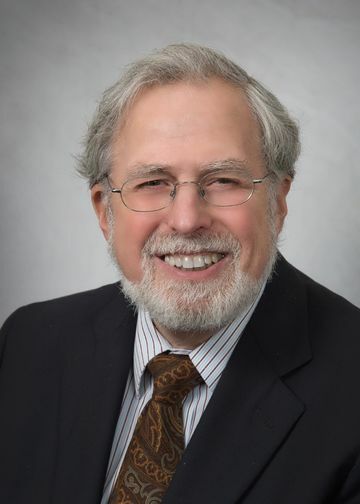 Dr. Allen has served as Principal Investigator or Co-Investigator for many clinical trials involving the treatment of patients with hematologic malignancies including studies involving close collaboration between the clinician and basic science laboratory. This has been done with great success in chronic lymphocytic leukemia where serial samples over time have been obtained and studied in collaboration with basic science laboratories. Dr. Allen has been an active member of the National Cancer Institute sponsored Community Clinical Oncology Program participating in multiple Cooperative group clinical trials for patients with hematologic malignancies. He has successfully administered the projects (e.g. staffing, research protections, budget), collaborated with other researchers and produced over 100 peer-reviewed publications based upon these projects. Ross DW, Wanchoo R, Guigova A, Ghiuzeli C, Allen SL, Jhaveri KD. “Light chain Fanconi syndrome in a patient with acute myeloid leukemia and monoclonal gammopathy of undetermined significance.” CEN Case Reports DOI 10.1007/s13730-016-0232-3, 2016. Patten PEM, Ferrer G, Chen SS, Simone R, Marsilio S, Yan XJ, Gitto Z, Yuan C, Kolitz JE, Barrientos J, Allen SL, Rai KR, MacCarthy T, Chu CC, Chiorazzi N. “Chronic lymphocytic leukemia cells diversify and differentiate in vivo via a nonclassical TH1- dependent, Bcl-6- deficient process.” JCI Insight 1:e86288.doi:10.1172/jci.insight.86288, 2016. Oroszi G, Brody J, Yang T, Allen SL, Devoe C, Zhang X. “Sequential development of two separate therapy-related myeloid neoplasms following radiotherapy for prostate cancer.” Leukemia and Lymphoma DOI:10.3109/10428194.2016.1154960. Dulmovits B, Appiah-Kubi AO,Papoin J, Hale J, He MM, Al Abed Y, Didier S, Gould M, Husain-Krautter, S, Sharon A, Chan KWH, Vlachos A, Allen SL, Taylor N, Marambaud P, An X, Gallagher PG, Mohandas N, Lipton J, Liu JM, Blanc L. “Pomalidomide reverses γ-globin silencing through the transcriptional reprogramming of adult hematopoietic progenitors.” Blood 127: 1481-92, 2016. Sherry B, Jain P, Chiu PY, Leung L, Allen SL, Kolitz JE, Rai KR, Barrientos J, Liang S, Hawtin R, Chiorazzi N. “Identification and characterization of distinct IL-17F expression patterns and signaling pathways in chronic lymphocytic leukemia and normal B lymphocytes.” Immunology Research 63: 216-27, 2015.